Variable speed pool pumps use a fraction of the electric than older pool pumps. Add a high efficiency pool pump to a new electric heat pump or solar pool heater, and increase your savings even more. 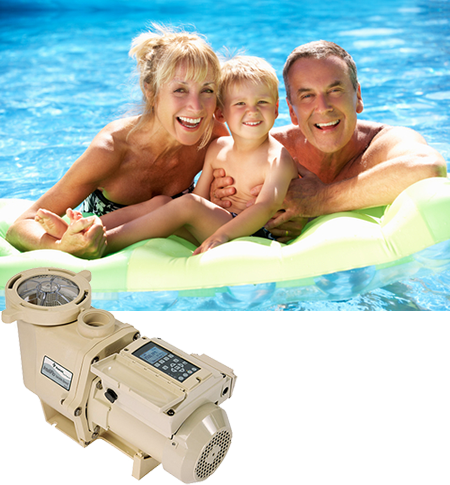 We can usually install your new pool pump in 24 to 48 hours. © 2015 Zina Sunshine, Inc. All rights reserved.